The Amerock BP29393AS Extensity 5-1/16in(128mm) CTC Pull is finished in Antique Silver. Extensity features beveled curves and a stately arc. Antique Silver is a sleek and lush finish with deep, rich colours designed to complement traditional, transitional and eclectic styled homes. The Amerock BP19541CSG9 Bar Pulls 5-1/16in(128mm) CTC Pull is finished in Sterling Nickel. Modern functionality meets straightforward styling. Simple. Bold. True. 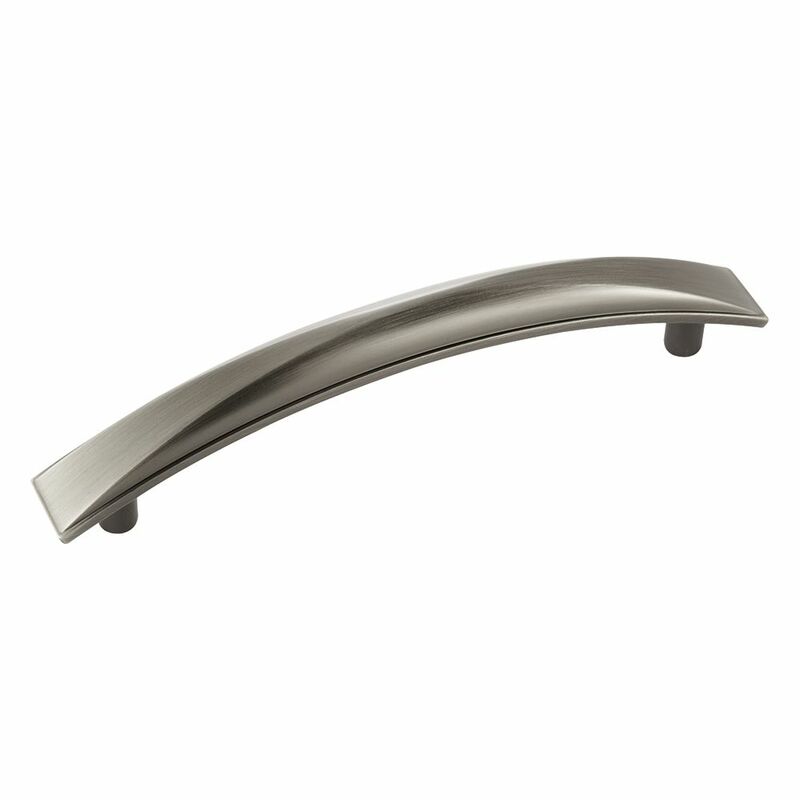 The sleek and sophisticated design of the Bar Pulls Collection makes a statement with clean lines and smooth textures. Sterling Nickel is a cool, smooth and metallic silver-toned finish that is timeless and subtle. Extensity 5-1/16 Inch (128mm) CTC Pull - Antique Silver The Amerock BP29393AS Extensity 5-1/16in(128mm) CTC Pull is finished in Antique Silver. Extensity features beveled curves and a stately arc. Antique Silver is a sleek and lush finish with deep, rich colours designed to complement traditional, transitional and eclectic styled homes.